The government has hidden tiny camera “eyes” everywhere. There isn't anywhere you can go and not be seen. “It is for the safety of the people,” they argued. Some people being okay with that, others, not so much. 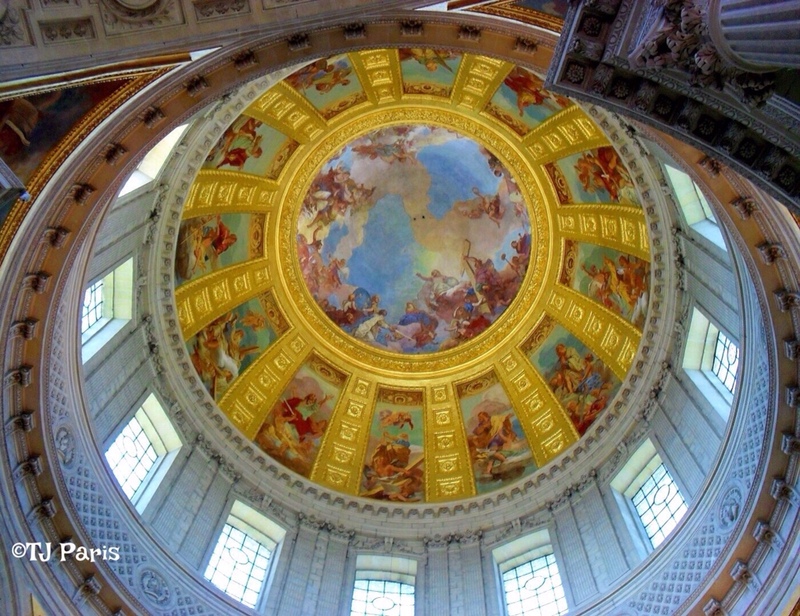 They both happen to look up at the dome ceiling where two tiny cameras are placed, busy scanning the entire cathedral. Thank you TJ for our beautiful photo prompt this week! 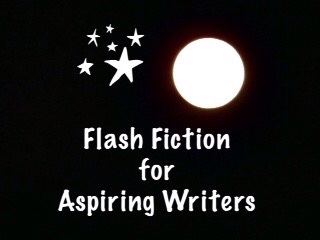 This is my 120 word submission for the flash fiction challenge, Flash Fiction for Aspiring Writers. We are given a photo prompt and approximately 75-175 words with which to create our stories. Everyone is invited to participate. For more information, click HERE. I remember classroom discussions about “big brother” watching us. Freedom is precious and not easily won or maintained. Good post! Thank you so much Lori! I remember those discussions too and it is frightening to realize that time is now. Yes, it is creepy and unfortunately, true. so true – we have these conversations often with our 26 and 28 year old boys who get very upset about the invasion of privacy. My son who is expecting is very skeptical and may not even want me to post pics of my grandchild here as he says it is sharing something the child has no control over later and putting it out to the world which can’t be taken away. I on the other hand am probably too transparent. LOL! It is a sign of the times. Oh, that is sad that you may not be able to share pictures of your grandchild. I understand where he is coming from though. I hope he changes his mind because I want to see pictures of your grandbaby! LOL! Jodi, I have to agree with your son. Though you will be proud and want to show the baby off, the internet is not the place to do it, imho! I have mixed emotions about it. I can’t see the harm in it, but I also understand where your son is coming from. Yes Emilio. I understand where he is coming from too. Great take on the prompt, PJ! Thought-provoking and well-written. No, I don’t think there is such a thing as privacy anymore, which is sad. But that is how our world is now, like it or not. Thank you so much, Jade! Thank you so much! Yes, when it comes to the government, there is always an ulterior motive. Creepy but probably true. We live in a strange epoch. The concept of freedom keeps evolving with each era. I don’t like the idea of being watched all the time either. But then, at public sites like this, it makes sense to me, both for the potential danger to the people visiting but also for the potential danger to these priceless artifacts of history. That’s true. Sadly, we have to have these precautions these days. I was thinking you were for real. I am glad you are not for real with this subject. No one enjoys being watched. When I taught school there were cameras everywhere. Those who stayed on task were not a problem. Those who didn’t became the problem with proof. It isn’t fun to be watched all the time and I certainly don’t want to be. Those kids that strayed away from their tasks probably got into trouble and there was proof to back the teacher up. You can be too, harsh with children. They mind when they trust, and respect the teacher. Fear of getting into trouble, or being written up is not what a teacher should be thinking. If she walks in confidence, she will know how to lead the children…by example. You sound like an excellent teacher! I wasn’t ordinary in my teaching. The students saw through my eyes to my soul. I couldn’t bluff them. I was real and this was hard, because they chose to work. I taught them this skill, because by the 5th grade they should have known it. That’s wonderful! I am sure the students loved having you as their teacher. Yes, it could get dangerous. Unfortunately we have had to go to this measure. Great story – privacy vs security. Very topical! Thank you so much! Yes, you never know! I love this… It’s sad but I do wonder how often I’m watched without my consent or knowledge. Creepy. I often wonder the same thing and I fear the answer is, more than we realize! Creepy!! That’s a very good question!! Someone is, I’m sure of it. Hahaha! That’s true. We want security without having our privacy invaded. I would like to have things back to the way they use to be when people could be trusted and for the most part, the world was safe. I wish for the same too! A safe and peaceful world! But sadly people are more scary than ghost. At least ghost doesn’t go around killing the innocents. Yes, true! As far as I know, they don’t. It’s really sad how this world has become. I find it distasteful too and just so odd, soon we’ll be able to watch murder being committed on the evening news, oh that’s right, we already have. Horrid, and quickly turning me into a hermit! Yes, me to Yolanda but who knows, maybe they can see inside of our homes through our televisions?? Hope not!! This is definitely a very relevant issue. Great story! Thank you so much, Rosey! It is a good question – which is more important, security or privacy? In this day and age we do have to sacrifice one to have the other. Thank you for your kind comment!! I think you are probably getting ready to go to bed for the night – have sweet dreams! Wow a great one that makes you think! Yes, it sure does! We are being watched a lot more than we realize. Yes, when I am cognizant of it, it really is a weird feeling. Thank you Lynn! Yes, it really does. I am one of those people that is okay with being watched all the time because I have got nothing to hide. I didn’t think that I would be quite boring to watch mind you. Except maybe those obscure Google searches that have to do with writing… You know, things like, how do you get away with murder?! This is interesting PJ. The idea of ‘big brother’ always watching us through cameras, even in a church. But I caught a bit of irony here because if you’re in a church and believe in God, even just a God, don’t you think he is always watching, all-seeing and all-knowing? Clever PJ. Yes, you are right! That crossed my mind as I was writing it. LOL! It is ironic! The erosion of our privacy is another crumbling block in our loss of freedom, whether we realize it or not. Regrettably, technology and the unbridled use of it to expose our lives not only to mysterious government entities, but to our fellow citizens seems inevitable. So much is shared online now that we make it too easy for Big Brother to follow our every move. As for the notion of security, I’m of the mind that the best any body of “protection” (whether police, FBI, TSA, etc) can do is to provide the illusion that we are safe. And it’s that illusion that allows people to go about their lives without living in constant fear. Thank you so much, Chris. I agree that our freedom has been eroded by privacy issues. And yes, social media has made it that we allow people into our privacy with our consent. It’s a very touchy subject for me because I value my privacy even though I am more transparent by blogging on WordPress. (I rarely go on Facebook or other social media sites). Social media really is a double-edged sword, isn’t it? We are social creatures and technology has opened so many new doors for us to explore that, but at the same time, an open door gives little protection. I guess nothing comes without a price. Yes, exactly. Nothing comes without a price. Social media is definitely a double edge sword. As social creatures, we obviously feel the risk is worth it. How creepy that would feel, to have statues follow you with their eyes! LOL! Hahaha! Good thing it didn’t permanently affect you! Being watched is the order of the day. Hi Shiva! That’s true. To have security, we have to give up privacy. I agree with you. It is cameras they are seeing. I do believe God is watching too but He is all knowing and all seeing. Wonderful story, Joy! It does represent the type of world we live in today…not everything is filmed, however, more and more is done as time goes by and it is scary to know there may be a camera watching your every move! In a lot of cases, it has proved to be helpful in catching bad people, but I still would feel uneasy knowing I’m being watched all the time. Thank you, Jessie! I agree with you about being watched all the time, but I do believe we are just about at that point. Sadly, we have to give up our privacy for security in this day and age. wonder what espionage takes place in a church? love your different approach to this prompt! I am not so sure that it is espionage. It just that the people in the church are being watched. i wonder why the need to be watched unless someone is collecting some kind of data? observing a culture or something or just being nosy? i tend to think out of the rational mind. These days and age it seems that cameras are watching us no matter where we go. is this common in the USA? maybe not so prevalent here yet but i do see CCTV’s in homes and offices as a sort of crime protection but not more than that. i treasure my privacy unless i chose to share it. Yes, lots of CCTV with homes and businesses and just about everywhere we go. It’s 1984 all over again. You can’t even call this a work of fiction any more. Weird. Sadly, that is very true! Ah, you too wrote about an Eye, but yours is even creepier than mine, I think – Big Brother is always watching us! Thank you so much, I am glad you like my name! Yes, I agree. We do have BB always watching! (Sadly). If only BB were our own consciences, and not some government entity! Oh, and I’m happy you liked my story as well. Yes, if BB were only our own conscience! Scary reality of modern day life. Scarier that the church might become another avenue of watching. I agree with you. It is scary! We’re not really free anywhere, are we? Great story, PJ. Somewhat of a dark humor. Very smart take Joy. Truly we are watched everywhere these days. Nowhere is exempted! What a World! I know, what a world! I think as people we are getting use to it but it is still creepy to me – to be watched all the time. The thought is not amusing! Yes it is but part of our world in these times.